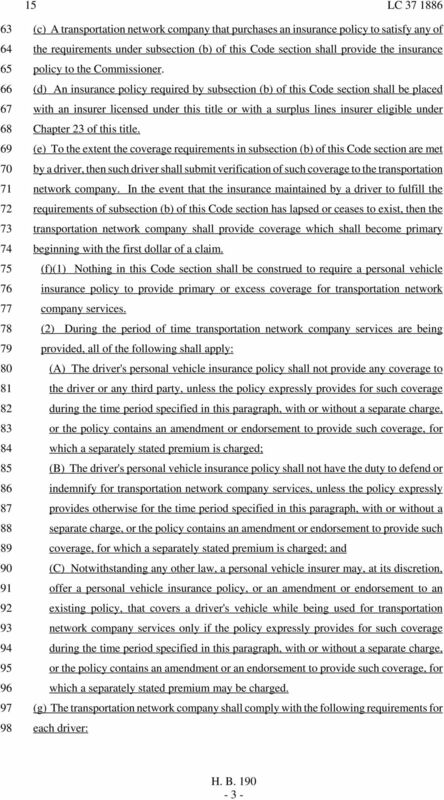 Download "15 LC 37 1886 A BILL TO BE ENTITLED AN ACT BE IT ENACTED BY THE GENERAL ASSEMBLY OF GEORGIA:"
GEORGIA (To be completed and signed by Named Insured) IMPORTANT NOTICE GEORGIA UNINSURED MOTORISTS COVERAGE PLEASE READ THIS NOTICE CAREFULLY. 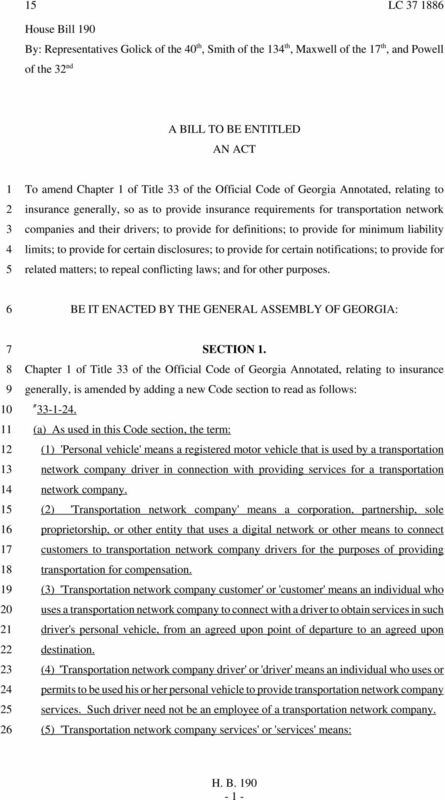 SUPPLEMENTARY COMMERCIAL AUTOMOBILE APPLICATION GEORGIA (To be completed and signed by Named Insured) Name Address IMPORTANT NOTICE GEORGIA UNINSURED MOTORISTS COVERAGE PLEASE READ THIS NOTICE CAREFULLY. 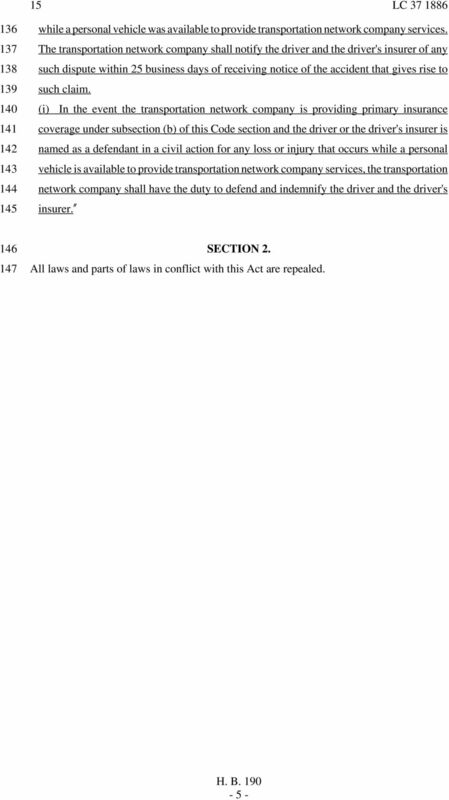 PUBLIC Law, Chapter 643, LD 1314, 125th Maine State Legislature An Act To Standardize the Definition of "Independent Contractor"
INSURANCE DEPARTMENT OF BANKING AND INSURANCE DIVISION OF INSURANCE Commercial Automobile Insurance Plan Proposed Amendments: N.J.A.C. 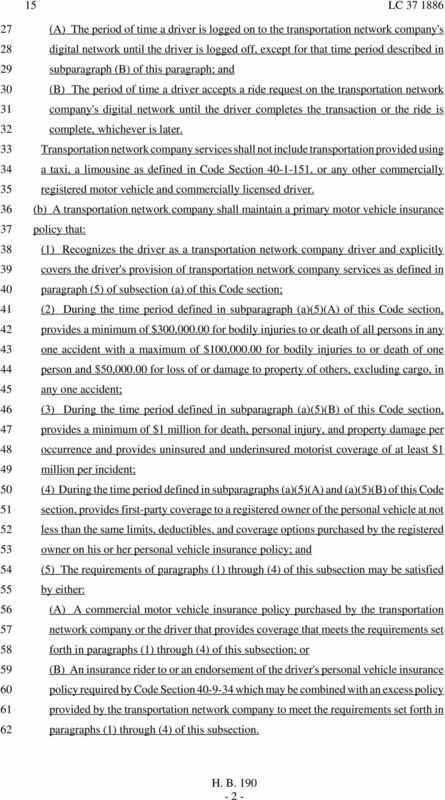 11:3-1.1, 1.2, 1.4, 1.6, 1.7, 1.8, and 1.9 Authorized By Holly C.
Title 24-A: MAINE INSURANCE CODE Chapter 39: CASUALTY INSURANCE CONTRACTS Table of Contents Subchapter 1. GENERAL PROVISIONS... 3 Section 2901. 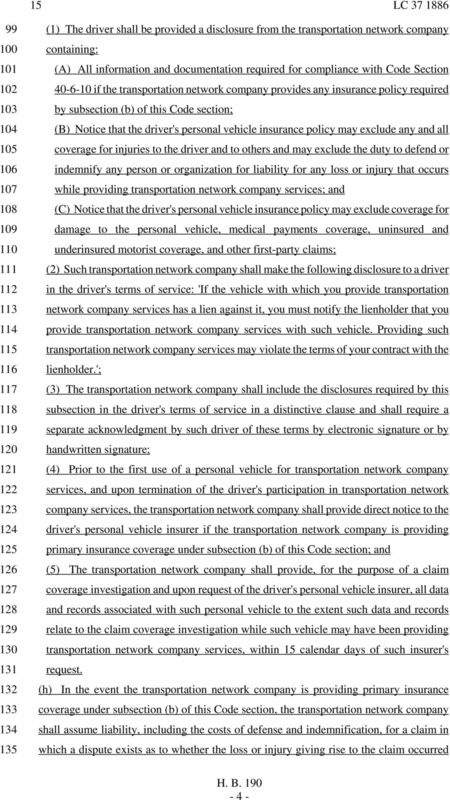 CONTRACTS SUBJECT TO GENERAL PROVISIONS... 3 Section 2902.